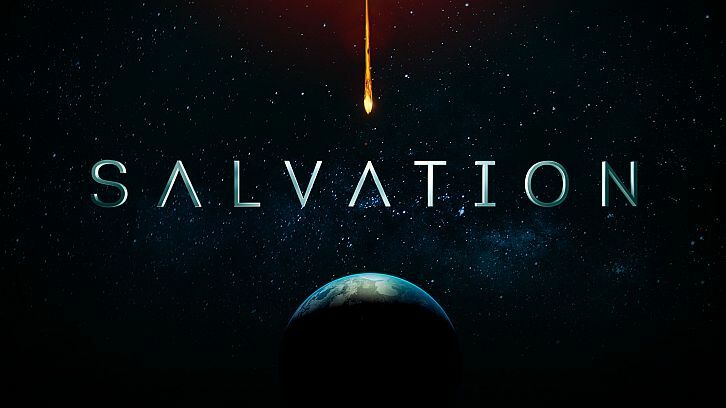 So far this season, Salvation has delivered high energy and well-written episodes of the series. Every actor has grown so comfortable in their character's skins in their sophomore season that they have all elevated their games in giving stellar performances. In this reviewer's opinion, the show had been riding a critical high since it returns to the CBS summer line-up on Mondays. However, when Episode 4, "Indivisible", got off to a very slow start, first impressions were that we were in for our first letdown of the season. Just when you thought they'd let up on the accelerator, the final half hour of the episode takes off at warp speed. The episode was deliberately slower paced in the first half so the viewers could be rested and prepared for 30 of the most intense, action-packed and suspenseful minutes that have aired on television this summer. The fate of the country hangs in the balance as everyone waits on the Supreme Court ruling as to who is the true president. It all rests on the condition of Supreme Court Justice Cheng (Hiro Kanagawa) who is recovering from injuries he sustained when his clerk was blackmailed into blowing up the deliberation room before rendering his tie-breaking decision. Grace (Jennifer Finnigan) and White House counsel Roland Cavanaugh (guest-star Jonathan Silverman) volunteer to make the dangerous trek to the hospital to get his sworn statement. Darius (Santiago Cabrera) worries why Grace would volunteer to undertake such a task, and literally gives her the bullet-proof shirt off his back to make sure she is protected. What the viewers know is that Grace's guilt is at an all-time high, especially after the discovery of Claire Rayburn's body at the end of last week's episode. She needs to feel useful like she is contributing, and putting herself in harm's way is part of the penance she feels she must pay. Unfortunately, former Vice-President Bennett (Sasha Roiz) has a spy in President McKenzie's (Tovah Feldshuh) camp in the form of a loyal general, who informs Bennett of Grace's mission. As has been done all season the writers have been outstanding in portraying how this battle would likely play out today, on social media. Bennett uses the internet to work people into such a frenzy that they begin to riot and lay siege to the hospital. What then occurs is that this episode takes off at break-neck speed, shifting back and forth from the White House to the hospital as tensions build and lives are at stake, namely Grace's. If this episode perfectly illustrates one thing, it's that in a time of crisis there is not a better group that you would want guiding and fighting for you than the women of Salvation. When the chips are down these are women I wouldn't hesitate to have standing beside me, and with a couple of exceptions strong men to stand beside them. In this episode, in particular, they all display admirable grace under fire. President Pauline McKenzie (Feldshuh) as she has since she recovered from her assassination attempt, once again proves herself a decisive leader. She's someone not afraid of making the hard decisions in the best interests of the country. She listens to and trusts her advisors and when the time came, she did not hesitate to pull the plug on the entire internet to shut down Bennett's propaganda machine. Jillian Hayes (Jacqueline Byers) has settled in nicely as Darius' Chief of Staff. Like McKenzie, she had to make a hard decision as to what was best for the greater good. She doesn't hesitate to essentially kick a very changed Liam (Charlie Rowe) to the curb, when he is released from being forced to work with Resyst and returns seemingly converted to the radical group's agenda, without the first clue as to what the others have been going through in his absence. She witnesses his being a disappointment and battling with Darius and concludes that this is not the man she loves and sends him packing with his ring. Liam's behavior was one of the biggest disappointments of the episode and one can only hope it is an act to throw off Resyst, but I don't have high hopes that is the case. Also showing great strength and fortitude is Fiona (Taylor Cole), who holds her own with Darius when interviewing for a position on his staff. She later has no qualms about laying down the law to Harris (Ian Anthony Dale) about going public with their relationship if she is going to be a member of the team. How trustworthy she is remains to be seen, (and I have a theory about her I'm reserving judgment on until I see more) yet she proves to be formidable in dealing with these two powerful men. Yet again, though, when it comes to exhibiting grace under fire, no one does it better than the lady herself, Grace Barrows. And she is literally under fire and at the center of the action for most of this episode. Last week I praised Grace for being a badass using her wits, this week she proved she can throw down with the best of them. Instead of running in the face of danger, she took charge, barricading herself in a hospital under siege to protect the Chief Justice of the SC and her family. Saved the detective brother (Ashley Thomas) of the woman she killed by giving an assassin a charge he'll never forget. All the while protecting the world's most important video when the president had pulled the plug on the internet to stop Bennett's propaganda/social media assault from inciting riots and war. She forges an unlikely alliance with Detective Carter and begins a quest to get that video to the White House and the true president, Pauline McKenzie as declared by the Chief Justice. Their efforts and the episode come to an explosive, cliff-hanger of an ending, but we all know Grace is nothing if not resourceful, she'll be just fine. Jennifer Finnigan must be having the time of her life playing Grace Barrows this season. Not only have the writers given her a meaty storyline, they've turned the sophisticated, calm, cool and collected presidential advisor into a full-fledged action hero. They've also given her quality screen time bantering razor-sharp one-liners with her real-life husband, Jonathan Silverman. Their scenes together this week were truly fun to watch and even she admitted on social media that they had fun working together and trading barbs. From previews of the next episode, the White House itself is under siege. It may be wise to begin winding down the political intrigue. In case anyone forgot there's still the matter of the asteroid that is going to destroy Earth in less than 120 days. Will Darius' bold plan to go public and use social media to ask for the public's help in building his rail gun to stop the asteroid work? Can Fiona be trusted? What about Liam, is his sudden support of Resyst's agenda genuine or, as some have suggested, just an act? Share your thoughts in the comments below.